We entrepreneurs tend to get excited about cashflow surpluses, for example if there's enough cash in the bank to honour 2 months of payroll and operational expenses. In fact, research supports the proposition that 4 months of cashflow surplus is optimum for avoiding bankruptcy. 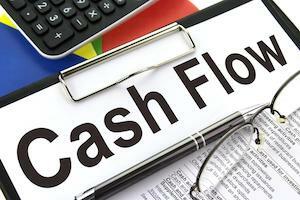 But how much cashflow surplus is actually sufficient? In my view, there should be sufficient cash in the bank to honour all current commitments, including the contracts up to notice-period of all employees on the payroll. So if there are 10 employees costing the company 50.000 EUR per month, and the average notice period for relieving the employees is 60 days, there should be payroll reserves of 100.000 EUR in the bank. In addition, assuming opex of 20.000 EUR per month, maintain 40.000 EUR to cover this. So optimal cash-reserves should be 140.000 EUR. Maintain at all times an order-book with payments due per month of 70.000 EUR (plus material costs and other commitments). Before adding a new employee, ensure that the reserves are adjusted accordingly to honour a new contract. The cash-reserves should best be locked in a fixed-deposit.